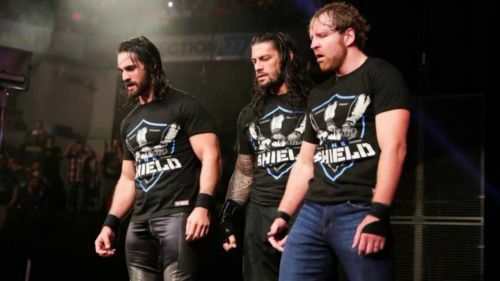 Recently, John Pollock of PostWrestling.com revealed that the Shield could reunite at WWE Fastlane. 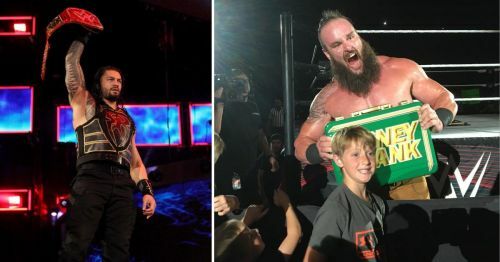 According to him, the WWE is currently thinking of adding Braun Strowman to the Shield so that they could face Drew McIntyre, Bobby Lashley, Baron Corbin, and Elias. The Shield has also worked together with many Superstars in the past and recently the WWE also aligned them with Kurt Angle and Triple H for a match. However, the addition of Braun Strowman may not be a onetime thing. The storylines, right now, on Raw are getting interesting day by day and if Strowman joins this group then two things will happen -- the fans will either love him in this group or they will boo him. However, this isn't just the only thing that will happen if WWE aligns Strowman with the Shield. There are many other things left as well that could occur. In this article, we will look at 5 such things. As we all know, Dean Ambrose will be leaving the WWE after this year’s April and if this isn't work then the creatives will have to find a replacement for him. I know that Ambrose has been a major part of this alliance and it won't be easy for someone to take his place. But, since WWE has no other choice, they have to do something. Right now, Braun Strowman seems to be a great alternative to Dean Ambrose in this group. He has already worked as a team with many wrestlers and it would be great if WWE decides to permanently make him a part of this group. Strowman may not be the best option available in Raw right now, but I think his chemistry with Reigns and Rollins will look much better than any other wrestler on the roster.